One of the five fictional heroines I drew for Sparknotes. 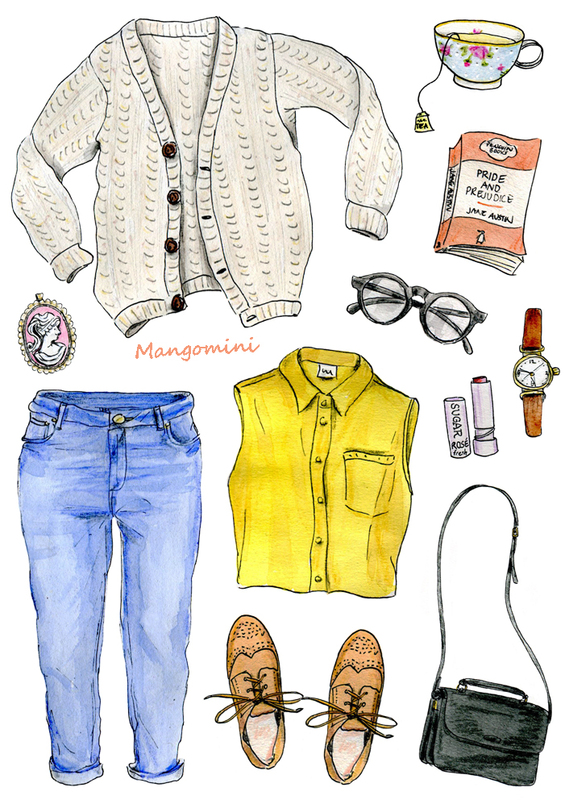 This is what I imagined a modern day Elizabeth Bennet would wear. To see all of the drawings in this story just click here. My first project for SparkLife! I’m happy to share my first project for SparkNotes with you. I was asked to create five first date outfits for their favorite fictional heroines. I loved making these and you can see the results here. 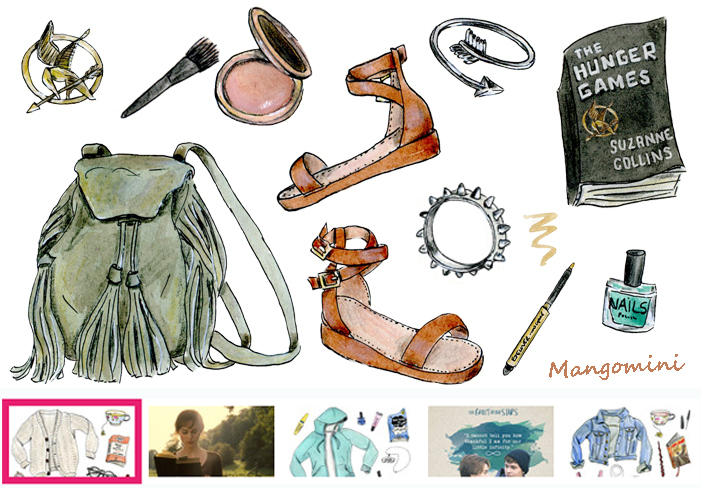 Author MangominiPosted on July 20, 2015 July 20, 2015 Categories IllustrationsTags Cindy Mangomini, cute drawing, drawing, elizabeth bennet, fashion drawing, fashion illustration, Fictional heroines, first date outfits, hand drawn, Hazel Grace Lancaster, Hermione Granger, illustration, jane austin, Katniss Everdeen, Mangomini, pride and prejudice, Scout Finch, sparklife, sparknotes, the fault in our stars, The Hungergames, To kill a MockingbirdLeave a comment on My first project for SparkLife! 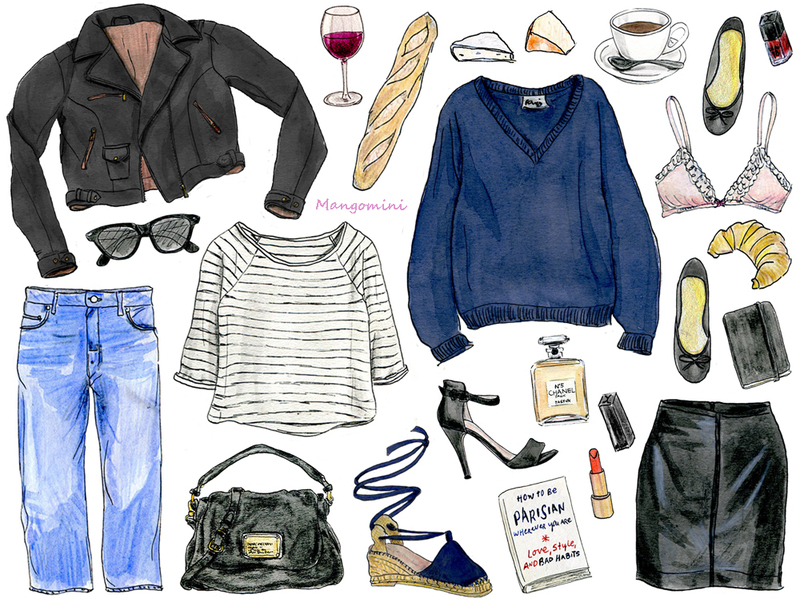 Wearing: everything is this illustration is H&M, except for: “lucky” bracelet, Anna+Nina – vintage denim skirt – canvas tote from local bookstore – sunglasses, Sacha. 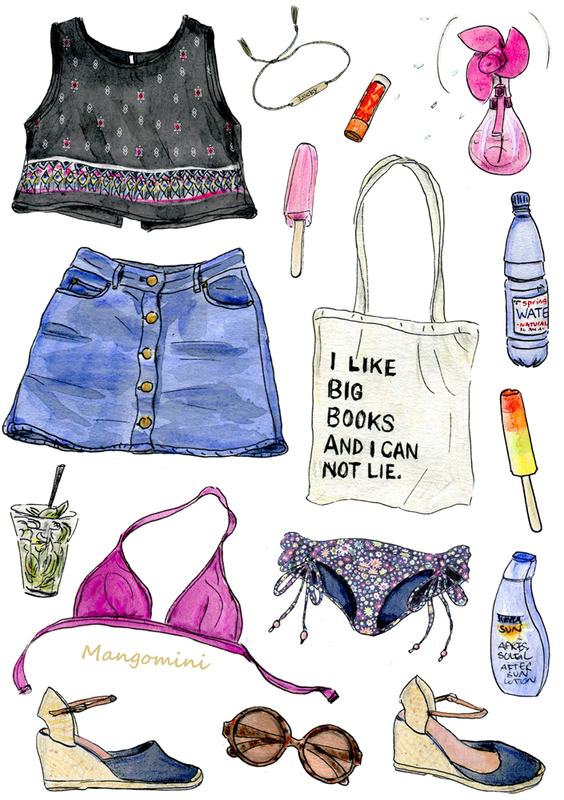 Author MangominiPosted on July 9, 2015 July 9, 2015 Categories Illustrations, What I woreTags 2015, Anna+Nina, bikini, Cindy Mangomini, cropped top, cute drawing, drawing, fashion, fashion blogger, fashion drawing, fashion illustration, hand drawn, heatwave, high waist denim skirt, i like big books, icecream, Mangomini, ootd, Sacha sunglasses, summer, summer style, vintage, What i wore today, What i wore today in drawings1 Comment on It’s getting hot in here!